In the heart of Washington Wine Country, the historic Marcus Whitman Hotel provides a sublime setting for the most romantic of days. Whether you plan to say “I Do” surrounded by hundreds of guests or just your closest family and friends, we have just the space for you—brides love our elegant ballrooms, but our more intimate private banquet rooms are popular too. And rest assured our wedding professionals will help you plan your special day every step of the way, overseeing every detail from table linens to flowers to customized menu. We can also help you organize all kinds of other custom events related to your special day, including engagement parties, bridal showers, celebratory brunches, rehearsal dinners, and cocktail hours. Diverse packages and wedding menu options guarantee a stress-free process. Request a wedding space today by filling out a brief form on our website or contact our Sales & Catering department at (509) 524-5106. Join us for our Annal Marcus Whitman Hotel Bridal Expo, taking place in 2017. The evening features an aray of vendors, prize drawings and more! Check back soon for more information. The Marcus Whitman Hotel’s wedding professionals are readily available to lend their expertise to weddings of any size, scope or budget. 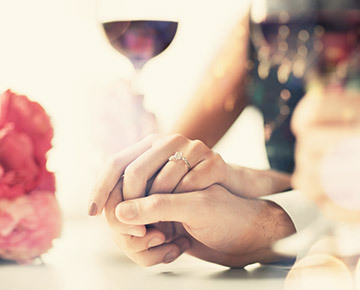 The Marcus Whitman is also well equipped to support bridal luncheons, rehearsal dinners, celebratory brunches, ceremonies, cocktail hours and wedding receptions. Announcing your engagement is an exciting time! 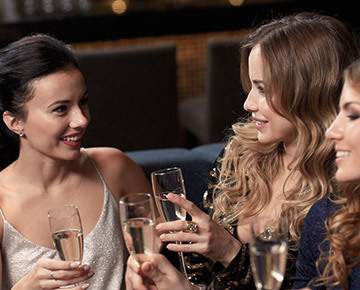 We can host a cocktail party or intimate dinner for your family and friends in one of our private banquet rooms to celebrate the occasion and get ready for the big event. An afternoon with the girls is always recommended—and fun! We can suggest and coordinate a special brunch or luncheon for you and your friends in one of our exceptional function rooms. After practicing for the big day, host a dinner for your bridal party in one of our banquet rooms. We can prepare a casual dinner buffet or a simple, but elegant plated dinner for you and your guests. Your first celebration together as husband and wife should be a joyful experience you remember for a lifetime. The Marcus Whitman Hotel & Conference Center’s historic, luxurious ambiance delivers a stunning venue for a memorable wedding. The sophisticated and elegant ballroom provides a beautiful and intimate setting for the ceremony and reception for up to 400 guests. The delicious cuisine, beverages and service are all provided by The Marc Restaurant, ensuring an easy-to-plan, yet exquisite event. Please call 509-524-5106 for more information or to discuss details. 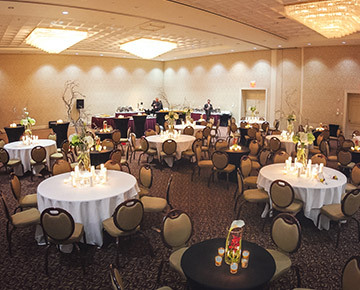 The Marcus Whitman Hotel is a true “one stop shop” that provides all event components including catering, tables, linens and chairs to ensure a stress-free and exquisite event.